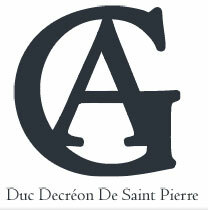 Duc Decreon De Saint Pierre watch brand was founded in 1785. While all Europe was entering the industrialization way, Vienna continued keeping its traditional watchmaking. The luxurious watch workshop gained great popularity and its main clients were men of supreme authorities and church. Then duke Decreon De Saint Pierre engaged in a precise time measuring instrument with a reasonable price creation. 5 years after Marie Thérèse d'Autriche empress' death, first Duc Decreon De Saint Pierre brand's watch was created. The watch's price corresponded with the period's average monthly income. The strive for precision and affordability was reached. Unfortunately, the following historical events slowed down the brand's rapid development. At the beginning of the 21st century Duc Decreon De Saint Pierre brand was revived and its basic philosophy: satisfying perfect taste and high quality demands at a reasonable price – was revived together with it. The company presented different luxurious wrist watch models, such as the “1200 WHB Milan”, the “2100 BK Cannes” skeleton watch, the “1800 SL Barcelone” and the “5001 Rose Gold Tourbillon”. All models are water resistant from 30 to 50 metres. You just need to pick a model, that will become your wrist's decoration and the swift-flowing time space companion. Buying a Duc Decreon De Saint Pierre watch means purchasing a great attribute with an outstanding price and quality correlation.